There is no better way to enjoy spring than to enjoy the outdoors at your own fishing pond. You can build your own fishpond as part of your backyard gardening project, and raise fish in your pond. Spring gardening can serve many purposes. You will find that your backyard garden could become a very enjoyable part of your day. A garden combined with a fish pond can enhance the beauty of your backyard landscape as well as provide a steady supply of fresh fish and vegetables. Each person can express their own taste in gardening and fish ponds, making it as unique and attractive as they want. You can find some pretty neat designs for your backyard garden and pond if you search on the web. You have the option of adding a water fall and fountain with your pond to make it even more attractive. It really depends on how far you want to go with your imagination and budget, and how much space and time you are able to dedicate to it. Designing and building your own pond give you the pleasure and satisfaction of growing your own food and also creating a beautiful landscape in your backyard. So no matter how difficult it may seem, try working on your garden and pond on your own because you will benefit from it, as it also gives you a good workout. But if you have a bigger project, you might want to hire professionals to help you with heavy stuff, like digging and excavation, moving stones into the pond, installing pumps, installing electrical outlets, lights, liners, filters, etc. Having a pond in your backyard in combination with a kitchen garden will give you the added advantage of using waste from your fish as fertilizer for your plants and waste from your plants to become fish food. You can use the same technique to grow fish indoors when temperatures are too extreme, by using aquariums or fish tanks and flower pots. Spring is the best time to give your backyard a makeover. Spring gives you lots of energy to work outside when it is still not too hot. The first thing you need to do is make a sketch of your fish pond and decide where you want your pond to be placed. Also,check with your local authorities and utility department to make sure that there are no legal obligations or any utility service lines, such as gas or electricity lines buried underground where you plan to build your pond. The spot you chose for your fish pond should be in a shade area, preferably under a tree or surrounded by bushes. Pick a spot which is naturally low. We gave you step-by-step pond digging instructions in our blog tilted: Sustainable Backyard Fish Farming: How to Dig A Pond & Raise Fish. You can also watch our webinar video on sustainability and aquaculture. Just like growing plants in your backyard garden, you should plan exactly what to grow in your pond. 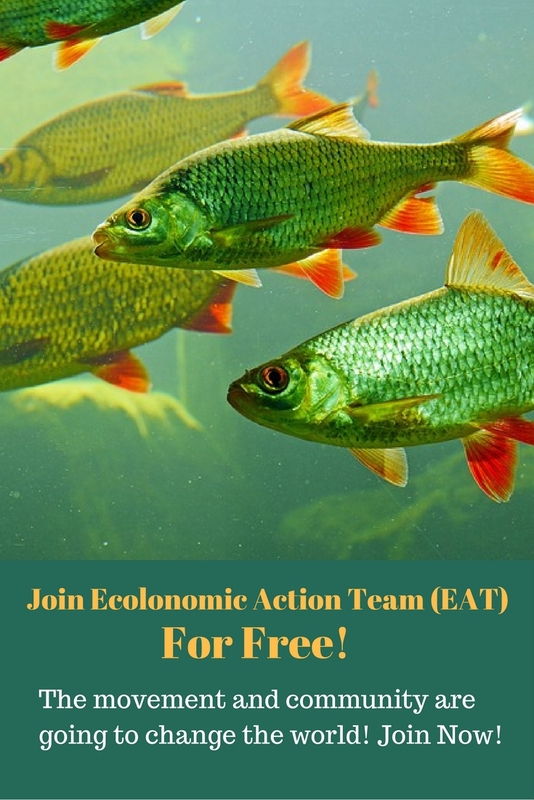 There is a wide variety of fish available for growing in your backyard pond and you should mix up the variety of fish you grow to keep an ecological balance. Based on the way they feed, they can be categorized as surface, bottom and mid feeders. Fish can also be carnivorous, herbivorous, and omnivorous, based on their diet. You should allow all the different kinds of fish to live freely and maintain an ecological balance, just as you would with your garden. However, if you have a small pond, you should avoid growing large sized fish. Also, small aquarium fish generally do not do very well in outdoor ponds. Make sure that the fish you grow is an outdoor pond fish. Purchase some different varieties of fish, besides Koi and Goldfish. Most people don’t realize that both of these types of fish can cause far reaching environmental problems if they are somehow released into the nature. Again, I would like to warn you that some fish can grow and breed very fast. If you have a small pond, keeping bigger fish would not be appropriate. Others will eat their neighbors. It is important that you mix different species of fish and also have both surface feeders and bottom feeders in your pond to keep ecological balance. Here is a list of unique fish that you can raise in your small backyard pond. You can buy a variety of catfish from the market. Most varieties of cat fish are bottom feeders. They have a heavy boney head which makes them sink naturally. Some species of cat fish can grow very large, so make sure you have the right size pond for your catfish. These are a very colorful member of the carp family. They can grow up to 3 feet long. 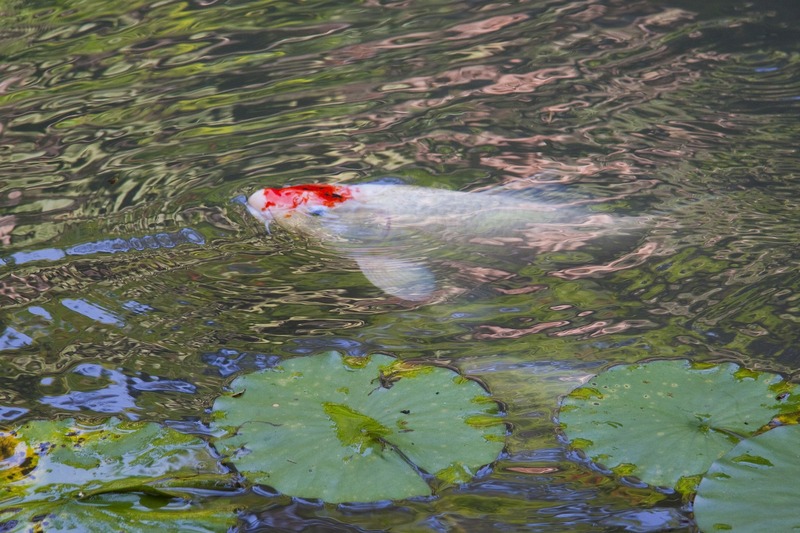 Minimum three feet depth of water is recommended for koi. Sunfish belong to Lepomis and a number of other similar related groups. They can vary from 4 inches to twelve inches depending on the species. They can really vary a great deal in colors and sizes. Tench is a bottom feeder that cleans up unwanted food from the bottom of the pond. Once they are in the pond, you will hardly ever see them. They are often olive or golden in color. Golden Orfe is a good species of surface feeders. They feed on insects and grow as large as 18 inches. However, they are not suitable for small ponds. If you have a balanced pond, you will never have to worry about feeding your fish. However, you could feed your fish once in a while, with the floating tablet type of fish feed, to create a relationship with your fish. If you find your fish becoming sick, you should immediately isolate the sick fish population and seek professional help. Always check the water quality and keep it clean. Check the pH level of your pond water and add limestone occasionally to neutralize acidity of water. Ammonia and Niter cause most of the problems and illnesses among fish. Treat your water to eliminate parasites. How about taking your home pond to another level and begin selling fish your raised yourself? Sign up to get our free eBook, Unleashing the Entrepreneur in You! Hi Liberty, thanks for your comment.Please read our blogs and you’ll surely find more information. You may call us 303-495-3705 at our office for more information as well. Thank you very much for your comment. Please tell your friends. tilapia fish. produce very fast so my pond is likely to get filled very fast what’s the best way to contral the increasing fish volumes? Thanks for your comment. You could keep your fish volume under control by getting rid of the harvest sized fish. I have been thinking of fish farming how can I do it with ground water?